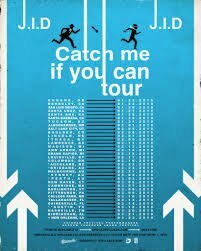 J.I.D announced the tour on his social platforms, encouraging fans to cop their tickets now. The first leg of the tour will be hitting markets around the United States before heading Down Under to Australia and New Zealand. A few days after returning to his home country, J.I.D will be right back to work in New Haven, Connecticut and other cities. So far, opening acts haven’t been announced yet.